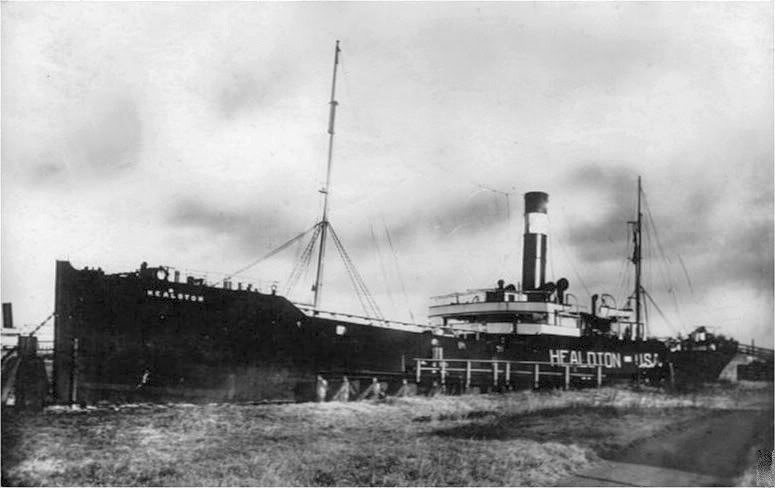 Co., Hamburgand in 1916 was purchased by Standard Oil Company, Bayonne NJ and renamed SS HEALDTON. On the 21st March 1917 she was torpedoed by German submarine when on route from Philadelphia for Rotterdam. Crew rescued by Dutch torpedoboat G13 and Dutch trawler Java, after 17 hours of exposure. The Miramar Ship Index for "PURELIGHT"
voyage Philadelphia - Rotterdam, oil.